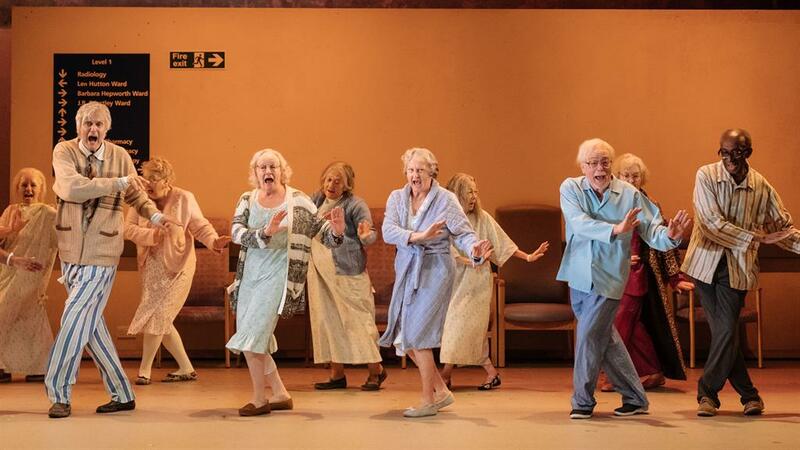 THIS summer saw living legend Alan Bennett return to the stage with his first new play for six years, with Allelujah! enjoying an acclaimed run at London’s Bridge Theatre. Allelujah! is a return to familiar themes for the playwright, whose works include The History Boys, The Lady In The Van and TV monologue series Talking Heads. It depicts life in a Yorkshire hospital threatened with closure as part of NHS cuts. Elderly patients on the Dusty Springfield Ward form a choir while a TV documentary crew film the hospital’s struggle for survival. 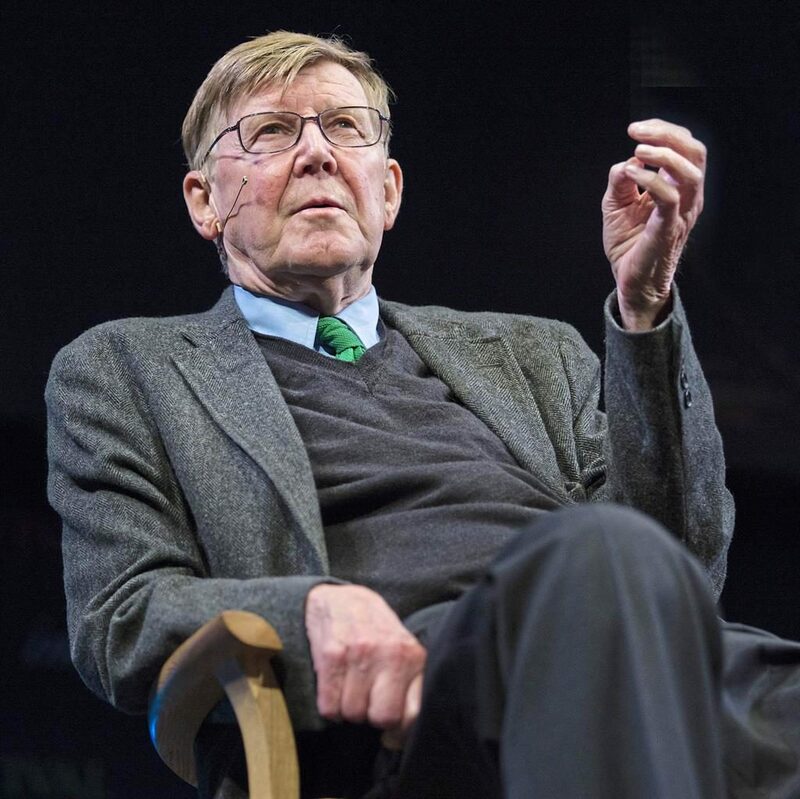 It will be screened in cinemas as part of NT Live on Thursday November 1, and Alan tells us: ‘I am concerned about the future of the NHS. I’m concerned it’s being whittled away in the interests of private medical companies. The NHS used to lead the world but it’s struggling at the moment. But Allelujah! provides plenty of laughs along with the political commentary — and several song and dance numbers. ‘Periodically the patients burst into song and sing hits from the 1950s and 1960s,’ Alan explains. Allelujah! reunited Bennett with director Nicholas Hytner, the pair having previously collaborated on the likes of The History Boys and The Madness Of George III. This was later adapted into a movie, The Madness of King George — and Bennett suggests the name change was because US test audiences thought it was a sequel. The Madness Of George III, at the Nottingham Playhouse from November 2 to 24, will be live broadcast to cinemas on November 20. Bennett will be going to a screening — and seeing Mark Gatiss in the title role for the first time. ‘I’ve made it a rule I don’t go to rehearsals other than the ones I do at the start,’ he explains. ‘I was there for the original production 30 years ago but I’ve never seen it since — similarly with my other plays. Otherwise you spend your life going to productions and I want to be getting on with something else. I say to the actors it’s unlikely I’ll come to see it and they aren’t offended. ‘Mark is a very good actor and it’s a very good part,’ says Bennett of the George III role which won Nigel Hawthorne a BAFTA. ‘When the king is going mad it really demands the whole of your personality — I say that from watching Nigel. The whole part took him over and actors like parts like that.’ What does Alan imagine the reaction would be today if William or Harry were diagnosed with a mental health issue? Bennett has said it usually takes him around four years to write a play — so, what’s coming next? ‘I wish I knew,’ he says. ‘I sit here with a pad of paper hoping something will happen. I can never tell what’s going to come out.